PennsylvAsia: 2001's Cowboy Bebop: The Movie (カウボーイビバップ 天国の扉) at AMC Loews Waterfront, February 4. 2001's Cowboy Bebop: The Movie (カウボーイビバップ 天国の扉) at AMC Loews Waterfront, February 4. 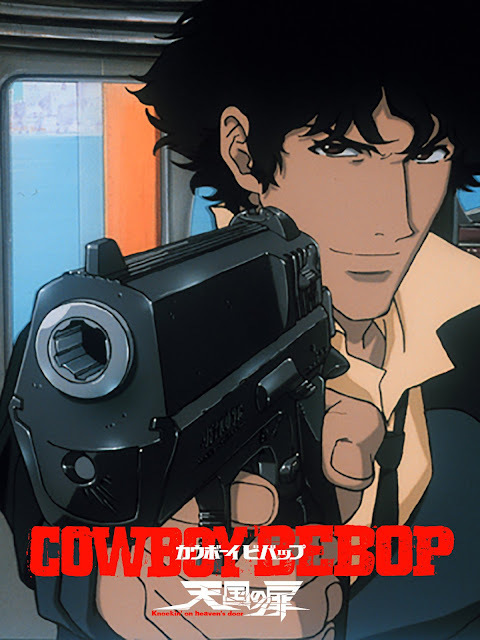 Widely considered to be one of, if not, the best anime ever made, the masterpiece that was the Cowboy Bebop anime series was originally intended to be a single movie but, when they got the go ahead for a series instead, they made it with the idea that each individual episode was it's own mini-movie. With the success of the show, they finally got the go-ahead to make a full-length feature and the results are magnificent in both presentation, quality, and artistic merit. The show starts at 2:30 pm on the 4th, and tickets are available online via Fandango. The theater is located at 300 West Waterfront Dr. in the Waterfront shopping complex in Homestead (map), across the Monongahela River from Greenfield, Squirrel Hill, and the rest of Pittsburgh.